Once again, a dysfunctional Congress had to put together a temporary spending bill to keep government open because they can’t pass a budget. Republicans like to say they’ll run government like a business, but if a business ran like this, it would close. It’s time to fire some Members of Congress, starting with George Holding. Donald Trump kept the turnover rolling at the White House. This time, he fired H. R. McMaster and replaced him with John Bolton, a scary guy who wrote an op-ed on making a first-strike on North Korea. This week, Franklin, Harnett and Wilson Counties all had their county conventions. 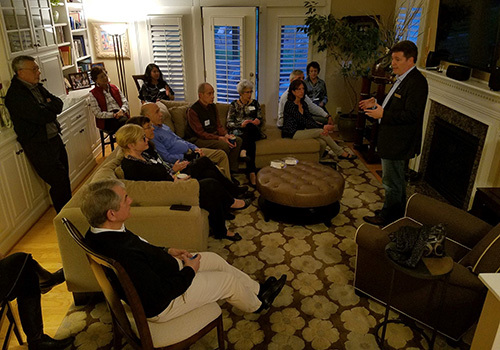 We were pleased to see such an enthusiastic turnout in each county. Blue Wave coming! 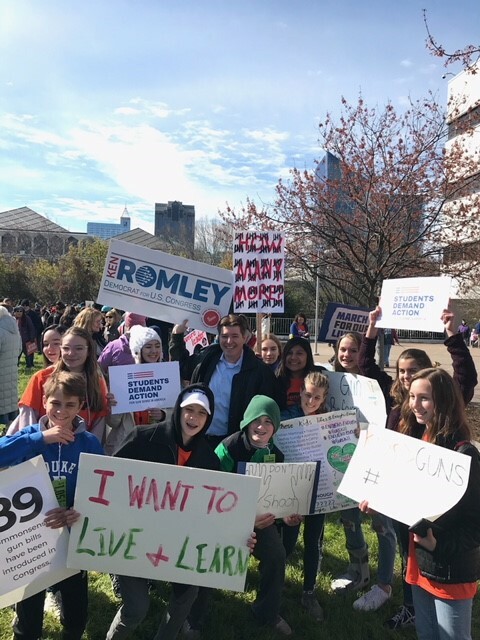 I’m so proud of the young people who led the March for our Lives rally in Raleigh. The turnout was great and the speakers were inspiring. Now, let’s really do something about gun violence. Ken at the March for our Lives rally in Raleigh.